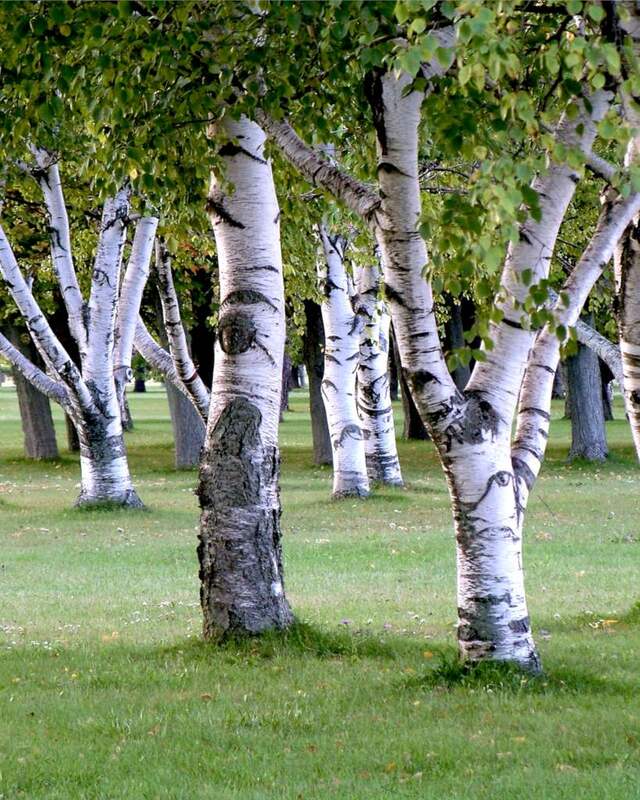 Birch is a magnificent ornamental tree, known for its distinctive white bark. 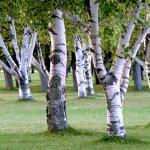 The planting, pruning and care ensure the proper development of your birch. Plant preferably in fall to favor root development before spring growth in the following year. If purchased in a pot or in a container, it will also be possible for you to plant anytime during the year while still avoiding frost spells and high temperatures. If not planted in fall, water often at the beginning. 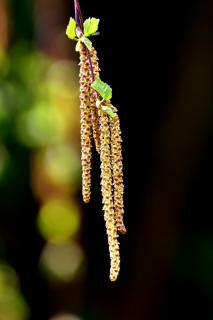 Refer to our guidance on how to plant your birch properly here. 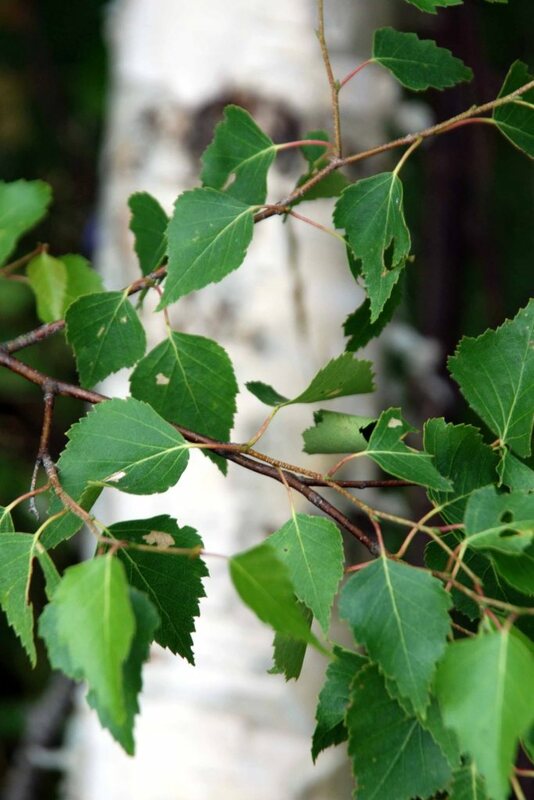 Birch is pruned in fall or winter, when the tree is in its dormant state. Birch is known for its smooth, shiny white bark, its small leaves that are colored with fresh green in spring and bright yellow in fall. Usually, it is planted in clusters of 2 to 3 specimens so that they can bounce light off each other, and to more quickly reach a sizeable impact (birch reaches its mature size quite quickly). White European birch or Betula pubescens. Vigorous slender tree. Often planted in clusters of 3 or 4. Its height is most often 30 to 50 feet (10 to 15 meters) but it can reach 85 feet (25 m). Warty birch or Betula pendula, syn. B. verrucosa, can reach heights of 85 feet (25 m) with long catkins. It is quite common in parks and gardens. Column birch or Betula pendula ‘Fastigiata’ which has a distinctive columnar bearing that makes it very suitable to cutting off a view. It’s possible to keep it from growing too tall by pruning the top off, usually to a height of 26/32 feet (8/10 m). Weeping birch (Betula pendula ‘Tristis’) is a vigorous birch. Its crown can reach up to 40 feet (12 m) whereas its secondary branches droop back down. Purple birch (Betula pendula ‘Purpurea’). Generally planted in groups of 3. It is smaller than the others, reaching only 16 to 20 feet (5 to 6 m). Its dark purple leaves in spring that turn red in fall will enchant you. Himalayan birch (Betula utilis). Native to Asia, it is perfectly suited to harsh climates and higher altitudes. Its average height is 40 to 50 feet (12 to 15 m). Spread some mulch around the tree to avoid weed growth and keep the water from evaporating.